A useful and well priced promotional item to get your brand exposed at large sports stadiums, golf days and other outdoor occasions. Brand them with your corporate logo and offer them to visitors when they arrive. You will create premium marketing opportunities when your logo is seen on hundreds of heads. 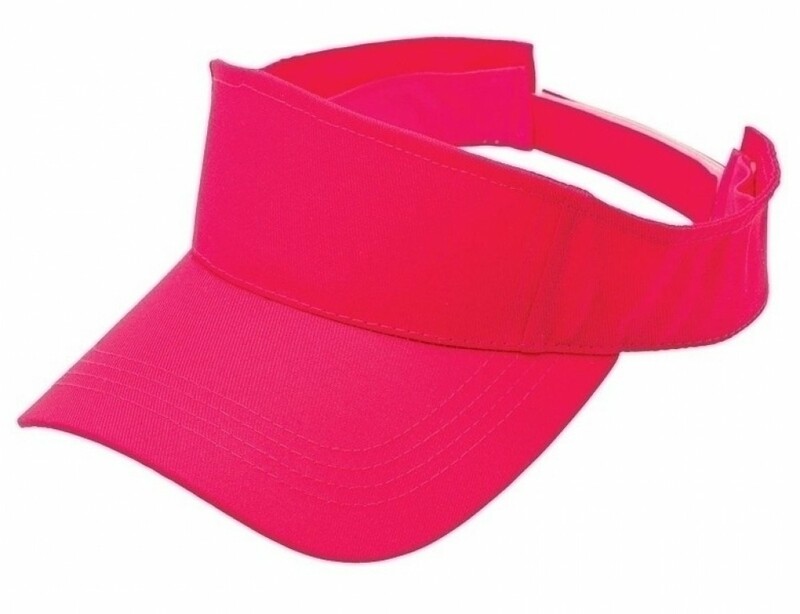 The visors are made from a durable polyester fabric that is easily washable and long lasting. A cool hand wash or a lukewarm machine cycle keeps them looking as good as new and the colour will never fade. The visors are made to the highest standards are quality control is monitored throughout the manufacturing process. We offer an extensive range of colours to suit your company logo. The visor fits neatly over the forehead, closes at the back with an adjustable Velcro closure and protects the face from sun by means of the pre-curved peak.